Morning! I hope you are all well and enjoying the half term holidays and had a fantastic Jubilee bank holiday weekend. Just as we almost packed away those union jacks the European football championships kick off today. So I thought today it would be perfect to share some football party inspiration. 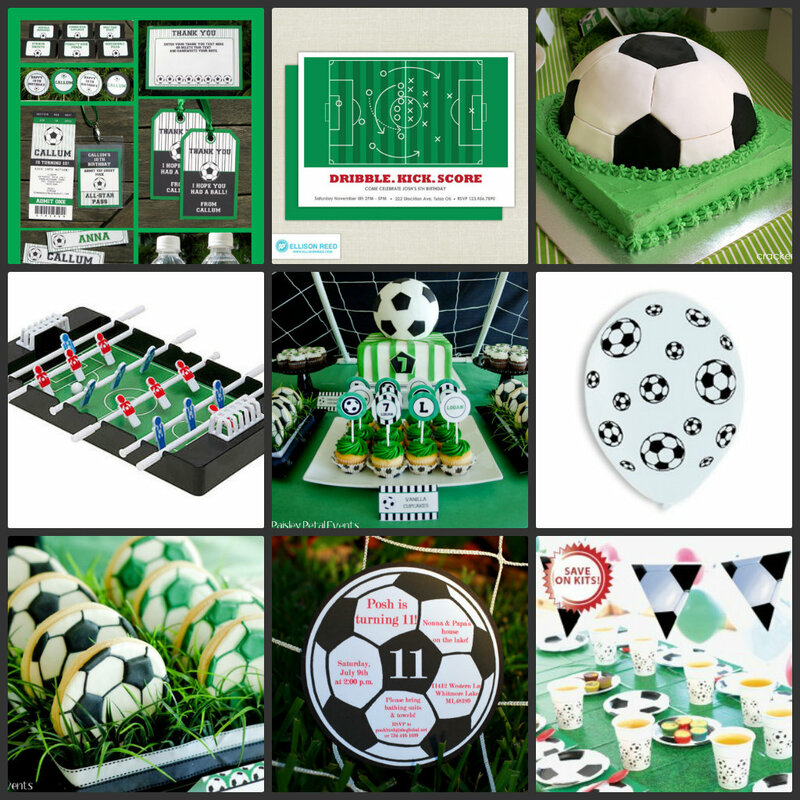 There are plenty of options with hosting a football party, either at home, the local park or at a fotball club. Many football clubs now offer special childrens parties, that invlove sometime kicking a ball about the beloved turf of your childs favourite club. I know my own children have enjoyed several friends parties at our local footclub over the years. Yet hosting a football party at home can be just as fun, especially if your garden is large enough for a kick about or penalty shoot out. Older children may prefer a football quiz in the style of A Question of Sport. Or perhaps if the weather isn’t great you could have a Subbuteo championship instead. Fancy dress is easy as guests can wear their favourite football strip and the birthday cake could be a football pitch. I am sure you all have los of other ideas, so be sure to add suggestions in the comments below. Also if you have a real football party you would like to share here on the blog, please send me an email zoe@lesenfants.co.uk .